13 May 2015 – Mohaideen Bin Osman, or just called as Mohaideen, 39 years old and the sole-proprietor of the Forms Design International (FDI), was ordered to pay the total penalty along with the fine totaling to $38,589.93 by the Court yesterday. This was due to the unlawful collection of GST that has totaled to the amount of $8,863.31. Furthermore, Mohaideen was also ordered to pay the Comptroller of the GST a total amount of the GST that he collected unlawfully from the customers of his business. Along with paying the fine, the owner will also face a total of 50 days in jail. IRAS or Inland Revenue Authority of Singapore has reported that a court hearing has happened in Tuesday and was the time when he was ordered to pay for the fine. If ever he will not pay the fine and the total penalty, he will be ordered to serve its jail term. This is considered as a serious offence committed by businesses that are charging or collecting GST from their clients especially when they are not GST-registered. Most offenders are given a penalty 3x the amount the total tax that was collected unlawfully along with the fine that could be as high as $10,000 for every offence. IRAS is the one conducting the audits for the identification of non-compliance of businesses with the GST laws. The audits may include checking whether a certain business is charging and collecting GST at the right amount. This particular case was uncovered in a single audit. In the past cases, there were already 5 businesses and individuals who have been convicted for this offence. The total taxes as well as the penalties that were ordered for these individuals to pay were amounting to $810,000. FDI, is a service provider of interior design, was engaged by the ABC or Agricultural Bank of China to cater the renovation and interior design services. Not knowing that Mohaideen was not a GST-registered person as well as his business, ABC was issued with 24 tax invoices which already include GST on the total prices. Mohaideen has unlawfully collected the GST totaled $13,155.43. This was the total amount collected form the entire period FDI provided services to ABC from the months of April to July in 2009. The amount collected by Mohaideeen was then deposited to the bank account of his business and then used it for paying the sub-contractors who have been working in the project. Due to this, Mohaideen faced 24 charges for the unlawful GST collection. 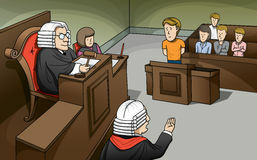 During the court hearing, he gave a guilty plea for the 8 charges that were filed against him. The 16 remaining charges were then taken into the court’s consideration for sentencing. It is the responsibility of any company incorporation to conduct Accounting Services Singapore for their total corporate income Tax. They can always ask for secretarial Services which is also provide outsourcing accounting services to ensure that they can comply with the total GST that they should be collecting from clients. This way, this can avoid any GST cases filed against the company. You could leave us a message by clicking here or fill in our Quick Enquiry Form provided below and we'll respond to you soon.